Fine; I will sit here with PopPop while you eat!! One of my friends sent me a picture taken at the Florida GWCA Chinese New Year event. These four cutie patooties sat (kinda) for this mini reunion shot. As you can see Miss Starr is looking off in the distance and probably thinking about the next way that she can get into trouble (oops I mean her next parental challenge exercise :) Gotta be PC!! Happy Year of the Golden Boar!! We celebrated at two events this year. Last week was the Florida Great Wall CNY event in Tampa where Marc emcee'd the event. There were 350 in attendance and it was a total blast. We even got to see four families that we traveled to China with and their beautiful daughters. It has been 9 months since our adoption journey and it was amazing to get back together again. There was a photo taken by a couple of the families of the girls together but I still need to track that photo down. The second event was this evening. We celebrated with our FCC - South Florida Family and that was wonderful as well. Both events had Lion Dancers and our FCC event even had fireworks. Katie Starr was very brave for both; even when the lion actually placed his mouth over Katie and my heads after I fed him his red envelope. She screamed but never cried. She even clapped with excitement when they were a comfortable distance away. Justin, my parents and my best friend Kira came with Katie and me to the FCC event. Marc was unable to attend. Katie climbing up on stage - just like daddy!! In order to get TMX Elmo to laugh you have to give it a push on it's stomach. Katie cannot yet push it hard enough to get it started. We think the technique that she used is very resourceful. Listen hard in the middle and you can hear Elmo saying.... Again! Again! This boy likes it rough :) We caught this little gem this morning on tape. Here are a couple of cute pictures from the past week. Last weekend we attended the Florida GWCA Chinese New Year Celebration in Tampa and had a ball. I will post those pictures when I receive a few more from some Friends who were nice enough to take some as I only took a couple. When we first decided to adopt again back in November we knew that we were open to a child with certain special needs. We looked at many lists through many different agencies (My friend Mary Rodin, another adoptive mom forwarded many of them to me) and quite frankly there is a feeding frenzy going on out there due to the rule changes and long wait. That climate really turned us off so we decided to look at our options and a very good one was Taiwan. The evening that we made the announcement that we would be adopting from Taiwan we received a phone call from Mary about a waiting child that CCAI had on their list. This child was from Katie's Orphanage. The initial description of his special need was very vague but he was a sweet and captivating child so we decided to ask about him. We thought that maybe he may be our son but would need to know if his special need was one that we felt capable of handling. After review of his info and consultation with a specialist we sadly found out that his special need was not one we felt comfortable with handling so we knew he was not our son. Thankfully, there was a family just after us that will most likely adopt him. That evening, I received word on my DTC Yahoo group from our adoption of Katie Starr that a child that I had seen in November that had been on hold for a family was available for adoption. The family that had been pursuing his adoption was not able to adopt him so he was back on the list again as the rule changes had made it impossible for them to proceed. When I saw him back in November I was very drawn to him and had been disappointed to see that he was not available for adoption. Marc and I decided to ask to review his file. We received it along with several other families and had it reviewed by our pediatrician and a Pediatric cardiologist that came highly recommended by other families in our FCC Group. 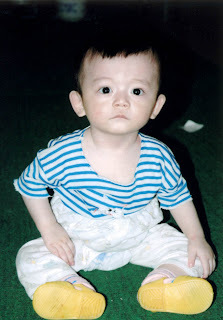 Both doctors felt that the operation on Ethan's heart in China had been a success. They both gave us us the thumbs up and admonished us to put a little meat on his bones when we got him home (no problem at all in our family ;0). Now, we had a decision to make. We had a path to Taiwan that the groundwork had already been laid; in fact our dossier was almost complete. We were requesting a girl and this was a boy; this child was almost Katie's age and we had already plunked down a large amount of money with the Taiwan Program. We were very drawn to him but quite honestly it felt so complicated and scary. We decided to think it through over the weekend. Saturday evening Marc and I were coming home from dinner and I looked on my blackberry (OK, stop snickering Mary and Kim). I saw a post from Mary on our FCC group about the same boy that we had been reviewing. What?!? Are you kidding?!? Why is Mary posting that? She never posts about waiting children on our group?!? Now, I felt two things: This is the third time that this boy has been shown to me and the second thing I felt was, OMG, I do not want anyone else to have our son!! I told Marc and he agreed that this was our son. It did not matter about the money or the uncertainty or even the chance of getting an infant girl in Taiwan. 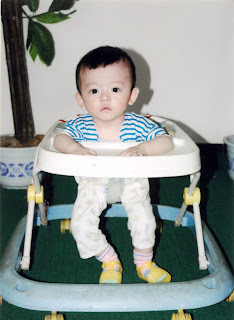 Xiao Zhiqing was our son and we needed to get him. The next day (on Sunday at 9am Hawaii Time) we called the cell phone for the rep from the agency and asked if he was still available and if he was we wanted to adopt him. The rest as they say is history or at least it will be once we get him home. The moral of this story is that you cannot deny your destiny or the red thread that connects you to those that you are destined to be with. Sometimes our human failings place barriers in the way but we all need to stay open to the possibilities that are there; right before our eyes waiting to be seen. We are all connected by the red thread and now I find that even the connections that we have made in the adoption community have moved mountains to secure our destiny. Thank you again to all of you for your support and love. A special thank you to Mary Rodin who made sure that our red thread to Ethan was untangled. We have a son from China!!!! "An invisible red thread connects those who are destined to meet, regardless of time, place, or circumstance. The thread may stretch or tangle, but never break." He is described as excited when seeing delicious food (love that), lovely, fond of toys, often laughs, active, restless, likes to watch TV and is close to his caretaker. We think he is a beautiful child. The Red Thread took quite some time to untangle and our loving and supportive friend Mary Rodin was the person who completely untangled it for our family. Thank you Mary!! I will save the story of of how all of this came about for our next post. We are ecstatic and cannot wait to bring him home forever!! Today we spent a part of the day at a festival that benefitted a local charity. It was a beautiful day and Katie Starr got to visit her first petting zoo and ride her first pony among many other fun things. Later in the day we visited Marc's folks with Justin and Katie and celebrated my FIL's birthday.